There are few pests that can cause as much financial and structural damage as termites. 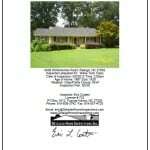 Here in North Carolina, termites can be a major problem for homeowners. Equally troubling, because much of their activity begins in out of the way places; in many cases, their presence isn’t evident until after considerable damage has taken place. Be aware of your surroundings and watch for evidence of swarming winged insects, mud-like tubes on walls or exteriors, wood that feels soft or mushy, and residue such as insect wings that could be evidence of recent activity. For homeowners, if you suspect a termite infestation, react quickly. 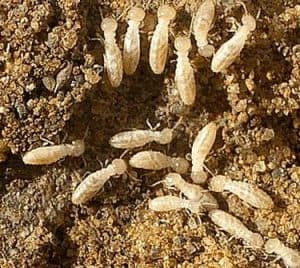 A Termite Inspection will indicate if the home is currently showing signs of termites or termite damage, and create a course for their prompt extermination. For potential home buyers, a termite inspection is essential for two reasons. First, obviously, is to determine if termites are present in the structure. Second, is to identify the evidence of prior termite infestations. If areas of the home were subject to termite damage previously, there may be structural damage or repair needs that would not otherwise be needed. 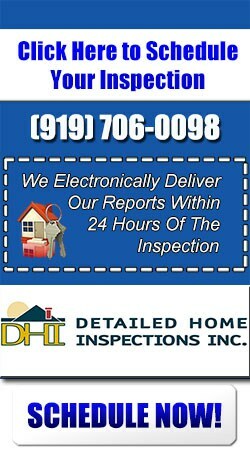 For property owners, home buyers, sellers, and real estate agents, Detailed Home Inspections can conduct thorough termite inspections and extermination programs. For clients in Raleigh, Cary, Apex, Holly Springs, Morrisville, Fuquay Varina, Lillington, Clayton, Smithfield, Garner, Knightdale, Wake Forest, Durham, Chapel Hill and neighboring communities, click here to schedule your termite inspection or contact us by phone at (919) 706-0098 or by email at inspect@detailedhomeinspections.com.